This HDRI collection was captured at Stinson Beach, California, which was the visual inspiration for Pixar's short film Piper. This collection was used while developing the look for the film. It contains 19 HDRI images at 2K resolution which time-lapse between 7am to 7pm. Drag the contents of the Materials folder into your Asset Library > EnvironmentMaps folder. The files are organized by category and can be easily searched in your preset browser. 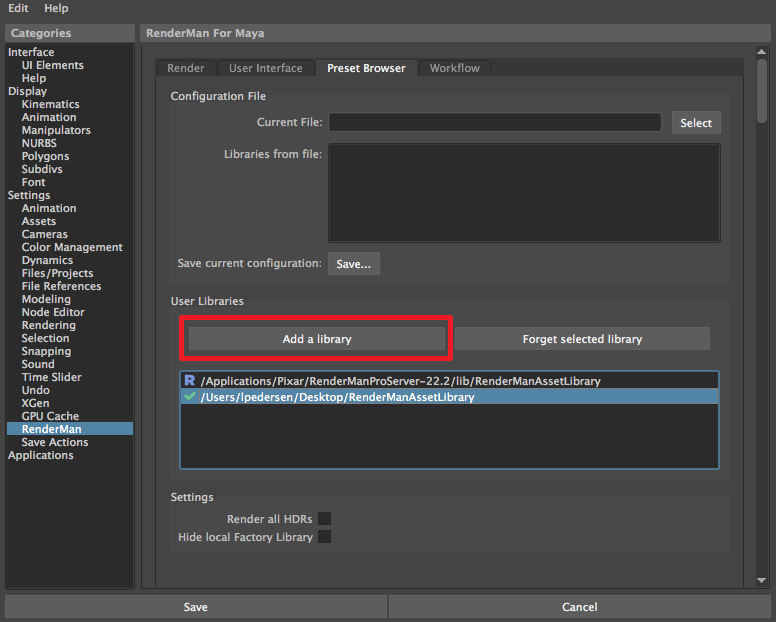 Make sure to transfer the installation RenderManAssetLibrary folder to a location with full writing privileges. Once you transfer the Materials folder and move your Asset Library into a different location, it is important to tell Maya through the preferences that you want to use the new path. Stinson Beach HDRI files are licensed under a Creative Commons Attribution-NonCommercial-ShareAlike 4.0 International License. The Stinson Beach HDRIs were captured by Arkell Rasiah, Christophe Hery, and Jean-Claude Kalache.